Appointlet can integrate with 1300+ third party applications, thanks to Zapier. You can view a handful of our recommended solutions by selecting Integrations from the left navigation menu. To connect with Appointlet, you will enter our Application into the first field and your desired app integration in the second field. 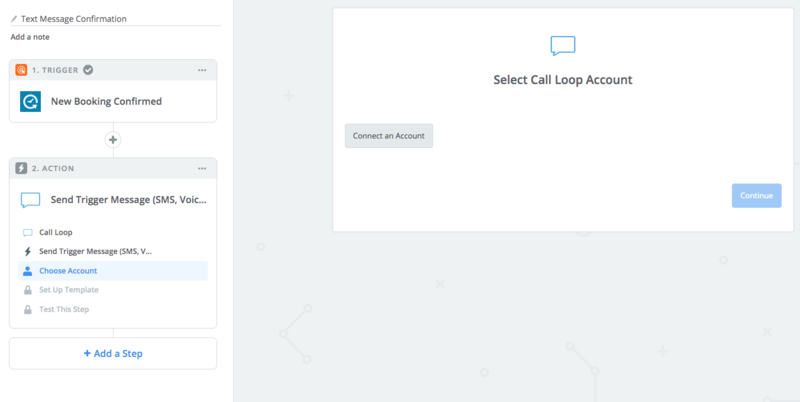 In this example, we'll be connecting with CallLoop, a recommended SMS provider. You can sign up for a free trial on their website if you want to follow along with this tutorial. 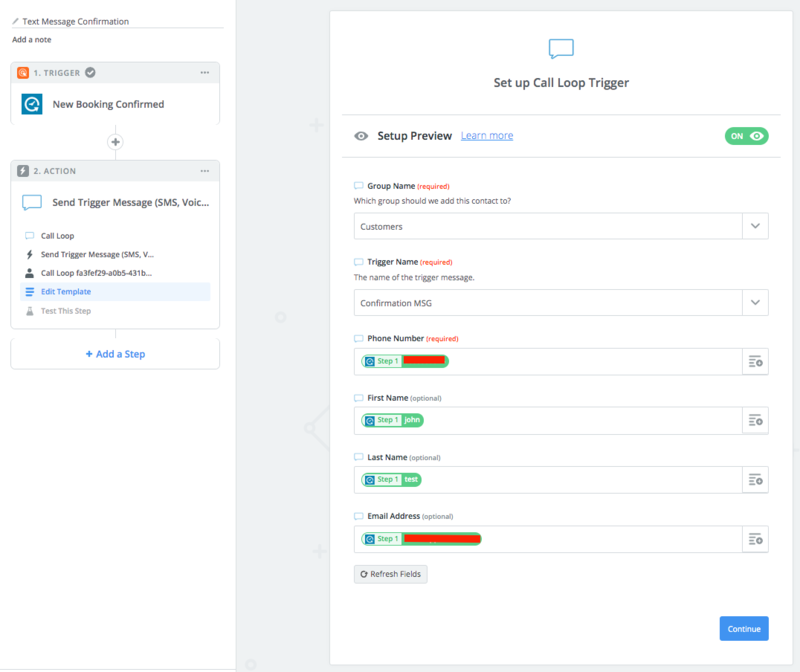 3) Once you've named the zap and connected your Appointlet account, click the blue "Save + Continue" button and proceed through Zapier's prompts. 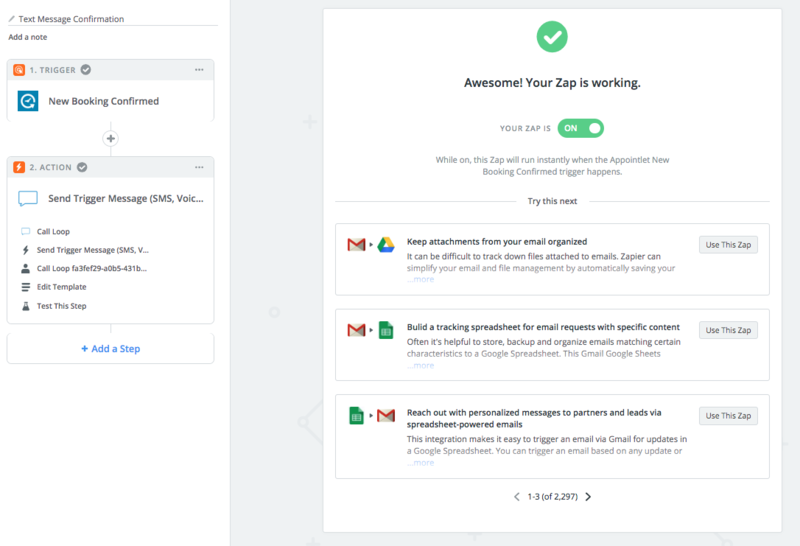 From here, Zapier will run some tests to ensure that your zaps are working. When everything is confirmed, you will be prompted to turn the Zap on. When that is complete, you are finished. 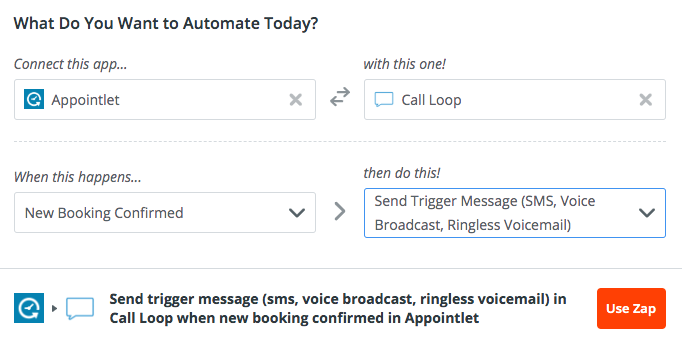 You can add more steps to the Zap or go back to your dashboard to create Zaps for other Appointlet events.